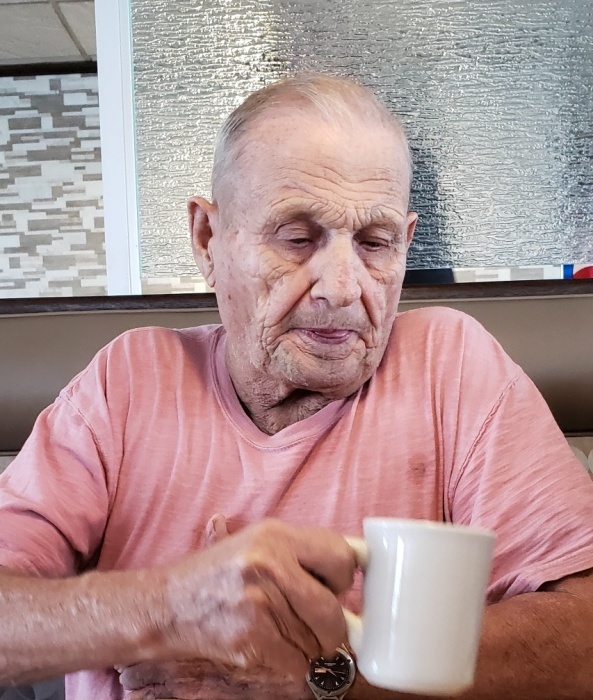 Richard D. Campbell Sr., 77, of Taylorville, passed away at his home on Saturday, January 26, 2019. Richard was born at his family home in Rochester, on August 29, 1941 to Cecil and Ora (Miller) Campbell. Richard was preceded in death by his parents; son, Floyd Campbell; sister, Ruth Wahlsmith; and brothers, Leo, Lester and Ronald Larry Campbell. He is survived by sisters, Cecile Campbell, Frances Moore, Doris Oller, Helen Boose and Polly Thomas; brothers, Robert Campbell and Carl Campbell; children, Crystal Campbell, Dawn Campbell, Richard Campbell Jr., Carolynn Campbell and Randy Emerson; grandchildren, Nicholas Gansz, Kami Lawlor, Lance Nation, Emily Johnston, Jacob Campbell, Zachary Campbell and Dalton Skinner; and great-grandchildren, Briana Witte, August Vance, Kaylee Campbell, Lilianna Johnson, Delilah Johnston, Jacob Campbell Jr., Annabelle Johnston, Salem Hamlin and Troy Johnston III. Visitation will be held on Saturday February 2, 2019 at Wilson Park Funeral Home, 109 E. Washington St. Edinburg, IL 62531 from 10:00 a.m. untill the time of the funeral service at 12:00 noon. Burial will follow at Oak Hill Cemetery in Buckhart. Pastor Larry Hanson will be officiating.